You have everything you need inside of you to begin breaking the narcissistic spell. ...and that’s exactly what you'll learn to do with The Beginner's Healing Toolkit. Download your Beginner's Healing toolkit. It's free. 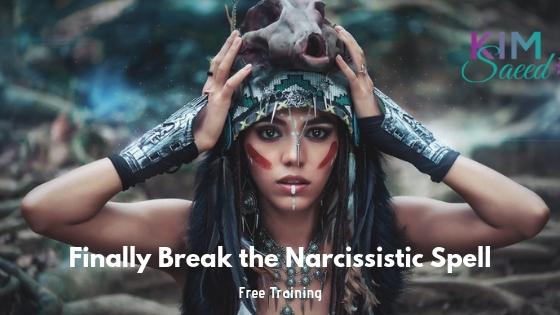 Exclusive seating in the master class, 7 Proven Strategies to Defeat Narcissistic Abuse. Learn how trauma bonds are formed and how to smash them to pieces. A 10-day 'Beginner's Journey' email series. Don't walk the path alone. Receive 10 days of validation and encouragement. The Beginner’s Healing Toolkit: 30-Day New Life Calendar, New Life Questionnaire, 16 Empowering Beliefs to Live By + More! I found myself alone, confused, and distraught, at 2 a.m in. front of a computer searching desperately for something that would relieve the gut wrenching pain. My 31-year marriage dissolved in one evening, discarded like trash. I found Kim’s healing comforts in one of these moments. This period in my life was the most difficult and darkest. It brings me to tears each time I reflect on that night when I found her. She gave me hope where there was none. She helped me see there was life, beautiful abundant life after no contact. I couldn’t ever thank her enough for realizing there are so many of us in the world and to dedicate her life’s work to guiding and loving us. She led me to the beautiful light of my blessed life. I found Kim’s site through a Google search and I truly believe I was led here by a higher power. Her site is full of raw, applicable insight that I haven’t been able to find elsewhere. I finally took the plunge and went No Contact with her help. All areas of my life have improved since I’m no longer with my abusive wife, and Kim has turned me onto several healing strategies that have greatly improved my self-esteem and sense of peace. Thank you.